WTH Is Up With This Traffic?! Headlines, hot news, and conversation starters on February 25, 2015! 1 If you've been on the road for over two hours, you are not alone. With multiple closed streets (see them here!) 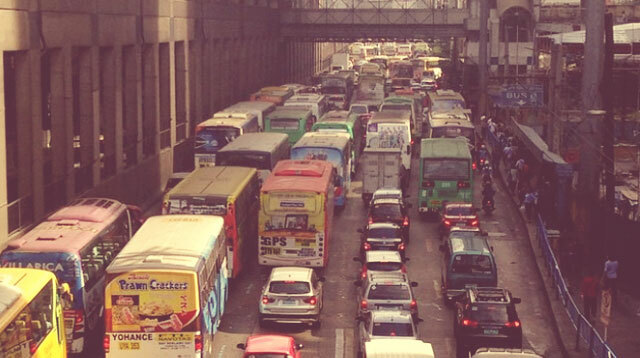 due to today's People Power anniversary, the traffic situation is crazy AF and the only thing to do is stalk MMDA on Twitter or do these 13 things while you're in traffic armageddon. 4 Something to brighten up your day: Lee Min Ho is in the Philippines to promote his movie Gangnam Blues! The K-pop star was spotted at the opening of Kyochon restaurnat in Greenhills, San Juan yesterday. 5 Paolo Ballesteros has done it again. This time, he transformed into Academy Award Best Actress Julianne Moore! Want to see some of Paolo's best celebrity transformations? Click here!